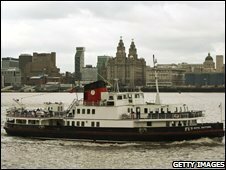 Cities in northern England such as Liverpool, Sunderland and Bradford are "beyond revival" and residents should move south, a think tank has argued. 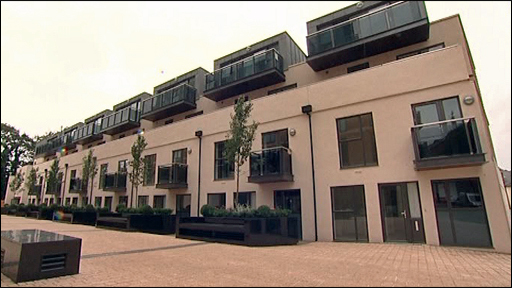 Policy Exchange said current regeneration policies were "failing" the people they were supposed to help. A mass migration to London, Cambridge and Oxford would stop them becoming "trapped" in poorer areas, it said. The think tank is seen as being close to David Cameron but the Tory leader branded its findings "insane". Mr Cameron - who is on a two-day tour of marginal constituencies in the North of England - will be keen to minimise any embarrassment as he seeks to gain ground in traditional Labour heartlands. He said: "The authors of this report have themselves admitted it is barmy, it isn't, it is insane. "Regeneration of our northern cities has been a key Conservative theme over the past three years, and one of the first things I did as leader was to set up the Cities Taskforce to look in to how we can further renew and regenerate our great cities." The report has also been met with anger in the northern cities it singles out as beyond hope of economic recovery. Warren Bradley, Lib Dem leader of Liverpool city council, said: "Liverpool's population is rising, crime is falling - we're one of the UK's safest cities - and tourism is booming. "This report has been widely ridiculed from Darlington to Devon as plain stupid and wrong. Its authors said it was likely to be dismissed as barmy. It's the only thing they got right." Labour MP Peter Kilfoyle described the report as "utter nonsense". "It doesn't ring true economically, socially or politically," added the Liverpool Walton MP. The Policy Exchange report said the three million affordable new homes planned by the government should be built in London, Oxford and Cambridge to enable people to migrate south. People should be told the "reality" to avoid them becoming "trapped" in less prosperous parts of the country. It was time to be "realistic about the ability of cities such as Manchester, Leeds and Newcastle to regenerate struggling nearby towns. "No-one is suggesting that residents should be forced to move, but we do argue that they should be told the reality of the position: regeneration, in the sense of convergence, will not happen, because it is not possible," it concluded. Restrictions on house-building in the south-east should be lifted to lower house prices and stop people on low incomes being "trapped" in less prosperous parts of the country, the authors said. Land earmarked for industrial use should be released for housing. The resulting price increase for industrial land would force some firms to relocate to cheaper areas, meaning more jobs for people in struggling towns and cities. Newcastle is lovely these days. London is hardly a model city. I'd sooner live in Liverpool any day of the week. The university cities of Oxford and Cambridge were well placed to become the economic power-houses of the 21st Century, it argued, like the industrial north more than a century ago. The authors included Tim Leunig, a lecturer in economic history at the London School of Economics, who said: "No doubt some people will claim that these proposals are unworkable, unreasonable and perhaps plain barmy. "But the issue is clear: current regeneration policies are failing the very people they are supposed to be helping and there is no evidence that the trend will be reversed without radical changes." He said internal migration had always been an important part of a dynamic economy and people had to be allowed to move to places offering more opportunities. A spokeswoman for the Department for Communities and Local Government spokesperson said: "We totally disagree with the conclusions of this report. "No government has done more to turn around decades of neglect, and since 1997 cities like Manchester, Liverpool and Newcastle have benefited from thousands of new jobs, lower crime rates and better living standards thanks to our sustained commitment to regeneration, and investment in public services. " Policy Exchange, which has been described as David Cameron's favourite think tank, is a registered charity set up in 2002 by Nicholas Boles, who recently worked as London Mayor Boris Johnson's chief of staff, and Michael Gove, who went on to become shadow education secretary. It says its mission is to develop policy ideas "which will foster a free society based on strong communities, personal freedom, limited government, national self-confidence and an enterprise culture".